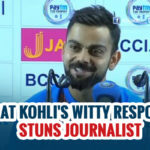 Former Indian cricketer Virender Sehwag presented a strong application for the India head coach job, but it was Indian captain Virat Kohli’s reservations against his proposal that got Ravi Shastri the job, instead of the former India opener. One of the top contenders for the Team India’s coach was former opener Virendra Sehwag along with Ravi Shastri, Tom Moody, Lalchand Rajput and Richard Pybus. While Sehwag too had good chances, however, his one simple request said to had cost him the job that eventually went to Shastri who is close friend of Virat Kohli. 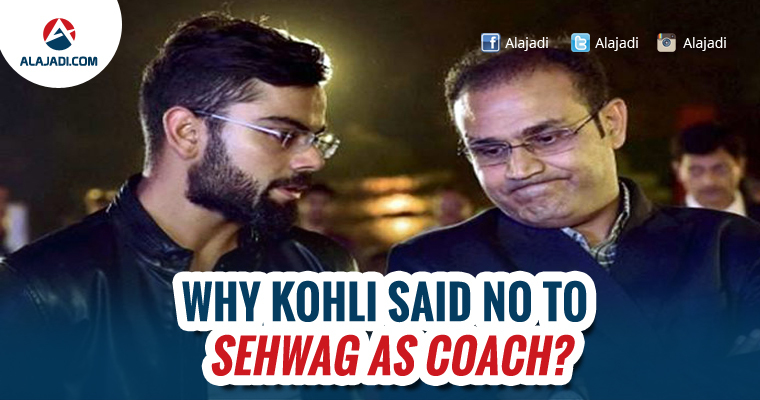 Kohli said to have welcomed Sehwag’s decision to apply for coach post with ‘open arms’. But what said to had ‘spoiled’ Sehwag’s chances was his proposal to rope in a new support staff which included Kings XI Punjab assistant coach Mithun Manhas and physiotherapist Amit Tyagi in the place of the existing support staff. This reportedly not gone well with Kohli. And Kohli apparently told Sehwag on his face that he would prefer current support staff as they have good bond with the team and experience of working with team for the past 3 years. However, Ravi Shastri is said to be in favour of continuing the same support staff and this is said to have impressed Kohli – an ‘inclusive’ approach. Sehwag is currently acting as Kings XI Punjab and he ‘wanted’ his present support staff for Team India. This is what said to have made Ravi Shastri, the coach of Team India. And also the reason why Sehwag lose the job. Perhaps, the fact that Shastri had an inclusive approach considering the captain and the support staff, is what made him CAC’s favourite. The CAC equally assessed all the candidates, but the reason Shastri won the race was his understanding of the work ethic put in place by the existing support staff members who have worked with the team for close to three years, according to the report.